Use walk-off mats or area rugs on either side of exterior entrances. Choose a mat with a non slip backing. Mats need to be kept clean. Sand, dirt and grit do the most damage to natural stone surfaces. Floors should be dust mopped frequently. Damp mop your natural stone floor. Do not use any acids with vinegar or household cleaners. Do not use products that contain lemon juice, vinegar or other acids. Avoid using products that contain abrasive cleaners, cleansers (dry or soft) or any ammonia-based cleaners. 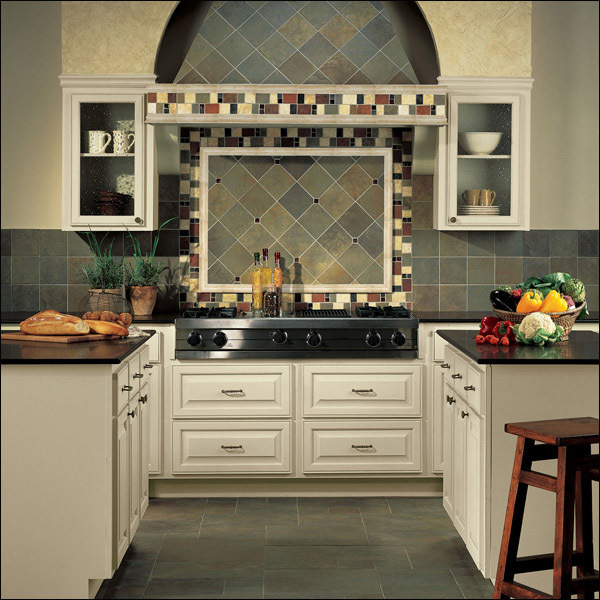 Do not use retail grout cleaners, scouring powders or bathroom tub and tile cleaners on your stone. Don't mix bleach and ammonia. 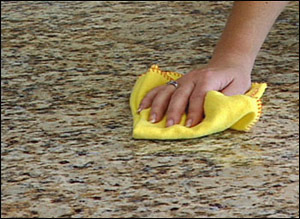 Rinse the floor thoroughly and dry the surface with a soft, clean cloth. 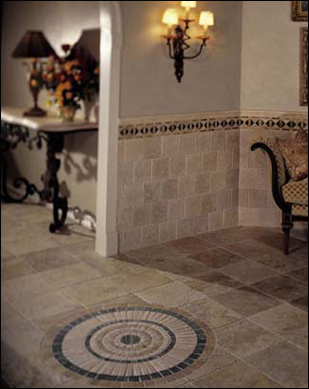 Call on your local retailer to suggest specialty products designed for use on your stone floors. It is your responsibility to properly maintain caulking in heavy water-use areas. Take care when moving heavy objects across your stone floor. Each stone has different levels of susceptibility to staining. Sealing your stone is a must. If you accidentally damage or stain your floor, products are available that may resolve your problem.